This is a pretty simple dish where you can use any string pasta, be it angel hair, bucatini, spaghetti, and not just the linguini mentioned. It calls for three simple ingredients: scallops, lemon and basil. 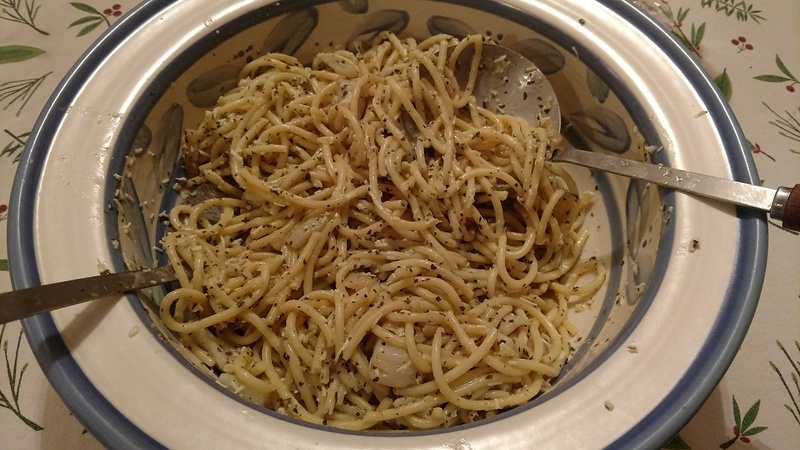 Think of it as a variation of pasta with white clams sauce. Except you’re using scallops instead of clams. If you can’t find small bay scallops, you can use large sea scallops, just cut them in half. So, whatcha waitin’ for? Go at it. Wash scallops under cold running water and pat dry with paper towels. In a small bowl, whisk together the oil, lemon zest and juice, garlic, salt and pepper. Stir in Romano cheese until thick and creamy. Melt 2 tablespoons butter in a large nonstick skillet over medium heat. Add scallops and cook in a single layer until scallops are firm, about 3 minutes. Transfer to a bowl and cover. Meanwhile, in a large pot, bring 4 quarts water to a boil. Add linguini and cook, stirring often until al dente or preferred tenderness. 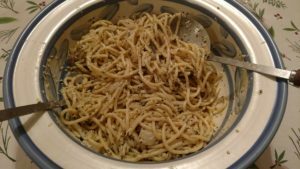 Drain pasta and return it to pot, but reserve ½ cup cooking water. Stir in olive oil mixture, scallop and their juices, remaining 2 tablespoons butter. Add basil and toss to mix. Add reserve cooking water as needed to adjust consistency. Season with added salt and pepper, if desired, and serve.